It’s spring; violets, daisies, new leaves, green grass, fresh air and bird song can be heard, seen and felt at every corner. What a beautiful sight and such a great time to feel alive, take a long walk and enjoy the sunshine… If you are not allergic! Otherwise, it’s just itchiness in your nose, eyes and throat, runny nose and teary eyes all over. It’s not that serious, but it is annoying and terribly inconvenient to deal with in any season, not just spring. Allergies can trouble you through the year and it is very difficult to be yourself when you’re constantly reaching for your tissues and sneezing your brains out. 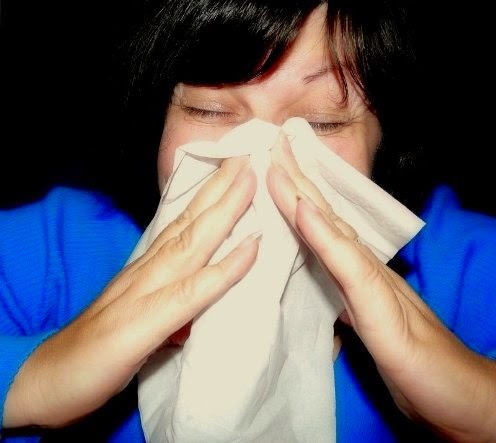 Here is what you can do to make it all better and survive the ‘allergy season’. When you finish your walk or your gardening, leave your shoes outside instead of taking them in your house with you. This way, all the pollen you gave stepped on and brought unintentionally with you will not be brought inside and get stuck in your carpets. Also, it would be wise if you would brush your pet’s fur too, since pollen and dust can stay in the fur for a long time. Just as your pet’s fur needs to be brushed and cleaned, you should take some time to wash your hair before you go to bed instead of doing so in the morning. Pollen, dust and other allergens tend to get stuck in your hair and stay on your pillow after you sleep. Also, they get stuck in your hair more easily if you use foam or hair gel. When you go outside, you will never be able to completely avoid all those allergens which are ‘lurking’ in the air, just waiting to make your life more difficult and torment your nose, eyes, and throat. If you have some work to do in your back yard or your garden, do yourself a favor and wear one of those disposable masks which you can find in pretty much any drugstore. This will keep the pollen out of your nose and mouth and help you breathe more easily. We know it’s beautiful and natural to let your clothes dry outside in the sun and light breeze, but this romantic and idyllic sight has its disadvantages. When your clothes dry outside, they collect pollen, dust, and other allergens which you later carry around and feel bad without even knowing why. Dry your clothes inside, use clothes dryer so your bed sheets, towels, shirts, and pants would be perfectly clean. No matter how refreshing open windows are, try to keep them closed in order to avoid having allergens inside. They can fly in through the open window and get stuck in your carpets, curtains and cushions. Use steam vacuum instead of the ordinary vacuum cleaner which can lift dust, and keep the humidity level low to stop spores from developing. There are thermometers which measure humidity levels in the air as well which can be useful to monitor humidity in your home. We suggest you put dehumidifiers in your basements and bathrooms. The lovelier the day, the higher the chances that you will be feeling bad because of the allergens in the air. Try changing your schedule, if possible, so you do most of the errands later in the afternoon. You could also try working out in the evening, especially if you practice jogging our outside yoga. Sunglasses help protect your eyes and you should always have them in your bag and in your car. After rain, pollen levels are very low and you can enjoy a lovely walk outside and breathe freely. As you can see, there are simple yet effective things to be done in order to make you feel and be healthier and more confident in everyday life. It is for the best that you try some of these tricks and see for yourself what works best for you and what makes you feel better on a daily basis. Maybe you don’t have to spend a lot of money on different medicine and treatments when you can do something for yourself and be satisfied with the result.